After withdrawing from the 2015 Joint Comprehensive Plan of Action, the U.S. administration is taking its next step to erode prospects for multilateral non-proliferation and disarmament regimes. On October 20, President Trump announced his intention to unilaterally withdraw from the Intermediate-range Nuclear Forces (INF) Treaty. Negotiated towards the end of the Cold War, the INF Treaty required the U.S. and the Soviet Union to eliminate and permanently forswear all ground-based cruise and ballistic missiles with ranges between 500 and 5,500 kilometers, capable of carrying both nuclear and conventional warheads. The U.S. and Russia accused each other of violating the Treaty for several years. In 2014, the U.S. administration first officially concluded that Russia had tested a prohibited cruise missile. Its denial of any such behavior came as no surprise. Contrary, Moscow alleged that the U.S. missile defense system in Europe and its use of armed UAVs (unmanned aircraft vehicles) were in violation of the Treaty. The U.S. State Department consequently refuted these allegations. In reaction, the 2014 NATO Summit declaration affirmed that commitments under the Treaty were critical elements of the Euro-Atlantic security. With growing concerns over Russia’s cruise missile capabilities, NATO began using stronger language calling out Moscow. However, not convinced by the Alliance’s stance, the U.S. administration decided to scrap the Treaty altogether. “We’re not going to let them violate a nuclear agreement and go out and do weapons, and we’re not allowed to”, Trump claimed. 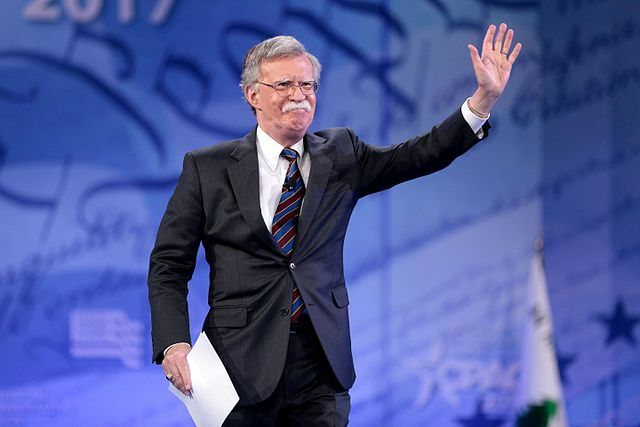 Besides Russia, both Trump and Bolton repeatedly stressed the perceived threat posed by countries that are not parties to the Treaty, particularly China. Yet, the argument that the agreement would hinder the U.S. to sustain a deterrent against China’s missile proliferation is flawed. As such, the Treaty does not prohibit INF-range sea-and air-based missiles which the U.S. has long deployed in the Asia Pacific. More so, even with respective ground-based missile capabilities, the question remains: where should the U.S. realistically deploy them? Frankly, the U.S. decision does not seem to be part of a wider strategy. Triggering the U.S. administration, Moscow turned the situation to its favor. Whereas its violation gave ground for re-assessing the Treaty, the U.S. is at fault for giving away any possibility to bring Russia back into compliance. Contrary, the decision will backfire considering that Russia is now free to deploy its new missiles, which certainly generates a more threatening security environment. In view of Soviet deployment of new missiles that could reach Europe, NATO adopted its dual-track decision in 1979. It allowed the deployment of U.S. ground-launched missile systems in Europe, while supporting efforts to negotiate limits on such systems. 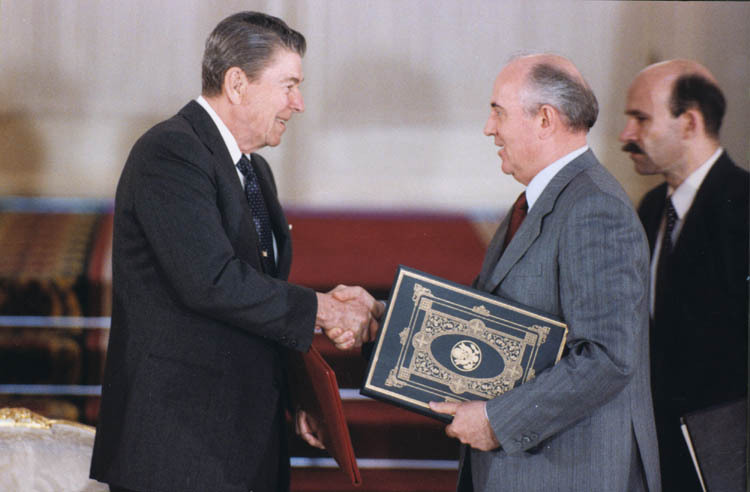 In 1987, Ronald Reagan and Mikhail Gorbachev eventually signed the INF Treaty. Subsequently, the two countries eliminated a total of 2,692 intermediate-range missiles, along with the entire equipment, under strict inspection and verification protocols. Leading up to the fall of the Iron Curtain, the Treaty remained the cornerstone of the U.S.-Russian nuclear arms control architecture. It further established the Special Verification Commission for parties to address and resolve compliance concerns. Considering the lack of constructive engagement, such platforms help to keep dialogue alive, build trust and involve technical expertise. Today, the U.S. and Russia still account for nearly 92 per cent of all nuclear stockpiles. A mutual understanding between the two countries matters– especially, when it prohibits both sides from possessing, producing and flight-testing tactical missiles, capable of carrying destructive warheads. In addition, the 2010 Treaty on Measures for the Further Reduction and Limitation of Strategic Offensive Arms (New START) expires by its terms in 2021. The agreement limits the U.S. and Russia each to no more than 1,550 deployed strategic warheads and no more than 700 deployed strategic missiles and bombers (intercontinental-range missiles). In case of failure to extend New START, any control over nuclear and missile proliferation will be lost. Both countries announced long-term programs to upgrade strategic and tactical delivery systems and stockpiles of nuclear warheads. This raises concerns over growing vertical nuclear proliferation. For many, a nuclear arms race belonged to the past, but the truth is that the believe in nuclear deterrence remains well-alive. While Russia developed prohibited nuclear armed cruise missiles, the new U.S. Nuclear Posture Review (NPR) announced to acquire new types of nonstrategic nuclear weapons, notably low-yield warheads for submarine-launched ballistic missiles. With the return to so-called “mini-nukes”, the U.S. administration indicates a readiness to resort to nuclear arms in conflict. This risks lowering the threshold for the use of nuclear weapons, whether by purpose or accident. In brief, today’s modernization of nuclear delivery systems and warheads increasingly challenges missile defense, posing a real and growing threat to international security. Where does the U.S.-Russian quarrel leave European security? The EU’s official reaction reads: “The world doesn’t need a new arms race.” Europe surely doesn’t… It is geographically bound to be at risk. Nuclear strikes with very little warning time directly threaten European soil. Leading NATO’s fairly ambiguous stance on Russia, Berlin reacted with “regret” to the U.S. decision. In a guest column for the magazine Der Spiegel, German foreign minister, Heiko Maas, argued that despite the historic achievement of the INF Treaty, its sole endurance would not guarantee European security. Maas mentions Russia’s deployment of the nuclear-capable short-range Iskander missile to its Kaliningrad exclave. The Treaty does not cover this kind of missile and yet, it could reach European territory. Describing Germany as a “Friedensmacht” (force for peace), Maas called for a genuine dialogue on nuclear proliferation between the U.S., Europe and Russia to reinforce transparency and trust. He also urged China to be part of non-proliferation and disarmament regimes. This is an ambitious task considering that the Chinese government has not faced any incentive to engage in the debate. Today, the country proliferates significant missile-related technology that could potentially advance national missile programs of Iran, Pakistan and North Korea. However, with the U.S. and Russia abandoning their obligations, why would any aspiring nuclear power start talking about limiting a deterrent? Above all, the U.S. administration has lost trust that international rules are respected, that agreements won’t be revoked. Sara Bundtzen is the editor-in-chief of the Paris Globalist. She is currently pursuing a graduate degree in International Security at Sciences Po.